Ever since I was a young boy, growing up along Ellicott creek, I have loved fish and fishing. My summers were spent wading in the creek, catching crayfish, turtles, and of course, fish. Back then we caught rock bass, small & largemouth bass, northern pike, and the occasional trout in my home waters of Ellicott creek. As I grew older and got my driver's license, a new world opened up to me. I could now explore the far away (1 hour!) trout streams of western New York, and I began fishing the Lake Ontario tributaries in the fall for salmon, browns and steelhead. After college at Saint Bonaventure University, I attended Syracuse University College of Law, where I earned my JD. After law school, I became an Erie County prosecutor, and spent my time prosecuting criminals in cases involving everything from armed robbery, burglary and assault, to DWI and other misdemeanors. I enjoyed being on the "good" side, and working with law enforcement to keep our region safe. However, my thoughts were often filled with visions of fishing in faraway places for wild fish. After leaving the District Attorney's office, I briefly worked in a large law firm with my late Father, also an attorney. After his sudden and unexpected passing in 1999, I began to re-evaluate my priorities and goals. I made a life-altering decision and decided to pursue my dreams. The rest is history. I love teaching my guests how to fly fish for steelhead and other lake run fish in the tributaries to lake Erie and Ontario. I love leading clients on trips to the Bahamas, Mexico, Belize, British Columbia and Montana (as well as other exotic locales). Most of all, I love being in nature, in the beautiful environs where the fish we pursue live. 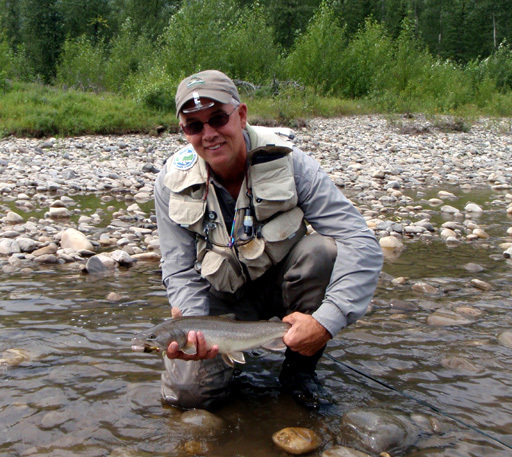 And I love sharing the excitement of fly fishing for the species in all of the locations that I visit. While I am still licensed to practice law and occasionally handle a minor V & T matter for friends and clients, don't expect me to spend too much time talking about the law while on the water. I'd rather talk fishing! 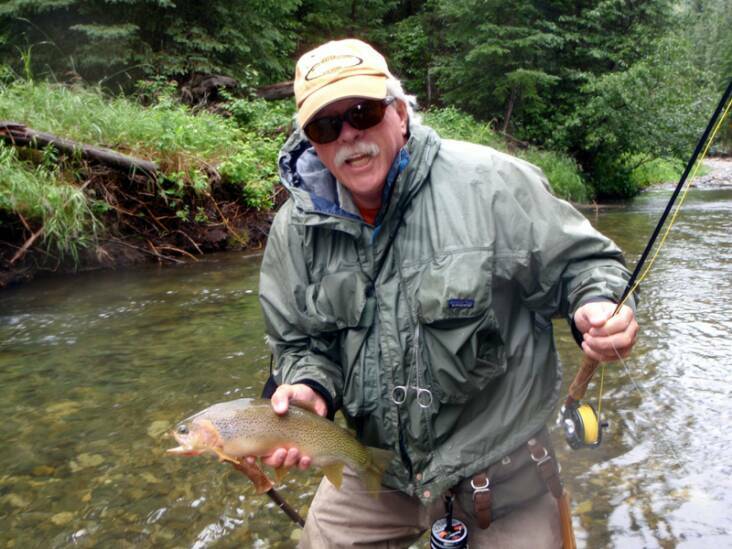 My business had steadily grown from the start, in part because the guides and hosts I have working with me are my friends, and they share the same passion for fly fishing and teaching that I do, and we pass this enthusiasm on to our guests. Furthermore, I pride myself on being a "straight shooter", and I "tell it like it is." There is no sugarcoating or BS to prop up a trip or destination. That is not how I was raised. 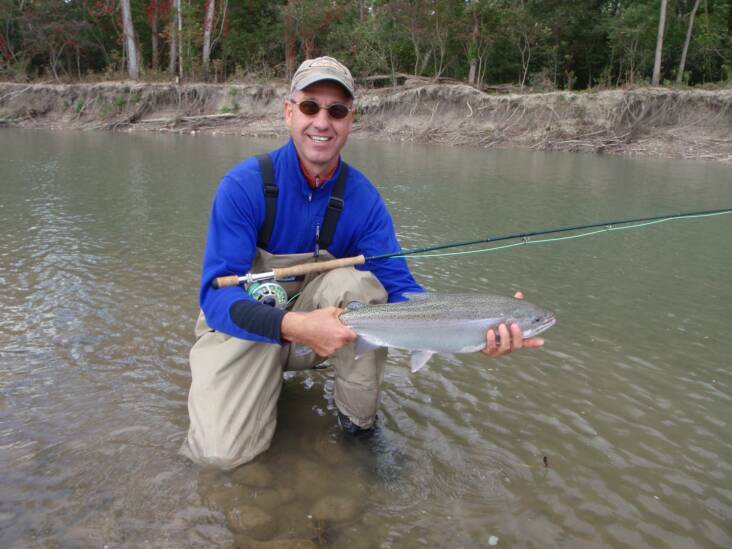 Along with myself, our steelhead and inland trout guides are all native to Western New York. We grew up here, and fish our region all year long. We know the streams and rivers of WNY intimately. Myself, Rick "Fishman" Fisher, Nick Pionessa, & Tom Cornell handle the bulk of our guiding duties. We also work with other WNY guides who were born and raised here. All of these guys are super people & excellent anglers, and they work hard to do their best each day they are on the water with guests. 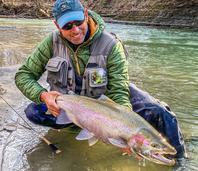 Our trip hosts are truly world class anglers, teachers and sportsmen. 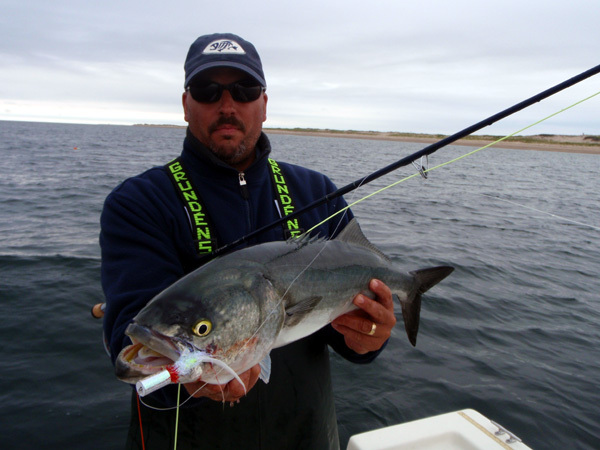 Their duties include helping to coordinate our hosted saltwater and freshwater trips, as well as accompanying all anglers on these adventures. They are always quick to lend a hand, whether it be casting instruction for a tighter loop or photos of your trophy catch. They are all great companions and fun to be with on our trips. In addition to myself, our hosts include Rick Kustich, Dan Pangaldi, Jules McCann & Jim Dowd. I spend a good deal of time personally fishing with each of these guys every year, and their companionship has provided me with many great memories. Lastly, we must thank the many guests and clients who fish and travel with us each year, many of whom we now call friends. It is all about sharing our knowledge with you, as well as a shared love of the fish we pursue and the beautiful places where they are found. Without your support Cattaraugus Creek Outfitters would not continue to thrive. If you need help with anything related to what we do, please don't hesitate to call or e-mail any of us. We truly love to talk fishing. We wish you tight lines and memorable travels! Vince Tobia lives in Williamsville NY, not far from the "Catt," with his wife Leslie, sons Cenzie & Joe, and daughter Mia. When he's not fly fishing, he's playing hockey or baseball with the boys, shoveling the ice rink in his back yard, or dreaming about some remote seldom-fished destination that needs to be explored.